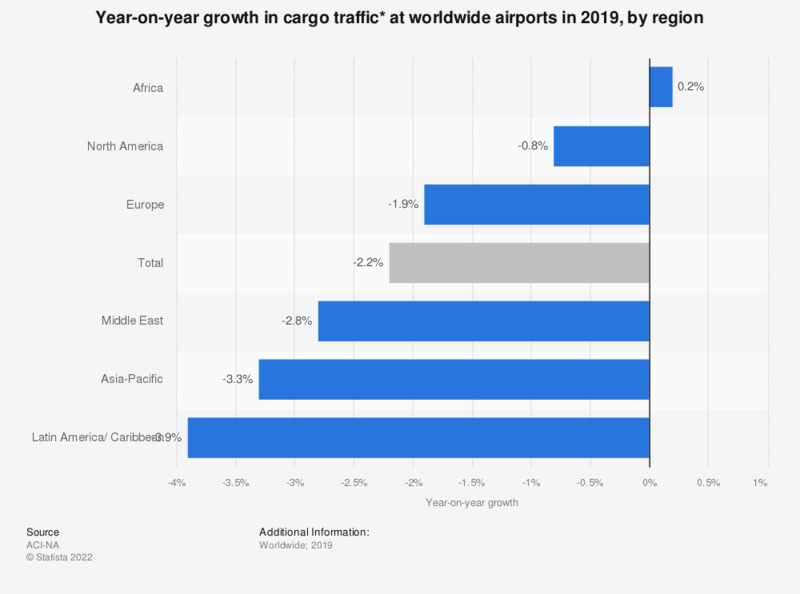 The statistic shows the growth in cargo traffic at worldwide airports in 2017 compared with the previous year, by region. In 2017, cargo traffic at airports in the Middle East increased by 5.9 percent. * Cargo figures include loaded and unloaded freight and mail.